Whilst I grew up with Crime of the Century [Supertramp, 1974] in the household, it hasn’t been until the last two or so years that I had really come to appreciate the album on a whole new level. Upon this tours announcement, I was instantly excited that I had the opportunity to see the mastermind behind this album in a live environment. Fast forward a few months…. 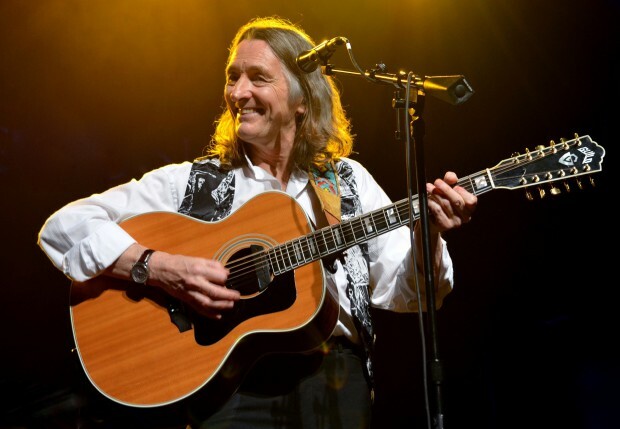 With parents in tow, I ventured inside the packed out Palais Theatre – for the first time in 15 or so years – to see Roger Hodgson perform for us in celebration of 40 years since iconic album “Breakfast in America”. Bang on 9pm, Roger and his very talented backing band kicked things off with the familiar ‘Take the Long Way Home’ before a technical issue occurred, which caused a frustrating 15 minute delay, initially filled with a casual chat before Roger and band left the stage whilst the technical issue was sorted (earpieces I believe). This really was the only blip in what went on to be an absolutely stellar set. Re-entering the stage, I was delighted to hear the mega-talented Michael Ghegan blow out the first notes from ‘School’ on his harmonica as the crowd became absorbed by a collection of mostly Supertramp tracks for the next 90 odd minutes. Michael almost stole the show with a sensational performance on saxophone, harmonica, keyboards, backing vocal and more, but make no mistake, this was still Roger Hodgson’s show! This was a near flawless performance that delighted this mostly over 50 crowd from go to whoa. Crowd favourites ‘Breakfast in America’, ‘Dreamer’, ‘The Logical Song’ and the like were scattered throughout the performance, but my favourite track for the night was ‘Hide in Your Shell’, which showcased Roger’s amazing tone beautifully, blended light with dark perfectly and gave me goosebumps, which only a few can manage to do. Roger’s voice has held up very well, and he still hit the highs and lows with aplomb. At 69, he is showing no signs of slowing down, moving from keyboard, to 12 string guitar, back to the keyboard, sneaking in a tinker on the grand piano, and pulling out the six string electric later on in the night. No doubt he is a world class muso, and it was nothing but a pleasure taking the show in, which included a nice, but not overdone light and stage show. He perhaps saved the best for last with ‘Fools Overture’, and Dad was particularly happy when the song was announced, pumping his fist like the Tigers had kicked a goal to seal the game. He didn’t expect it to be played, but Roger is very grateful for his career, and plays what the fans want.